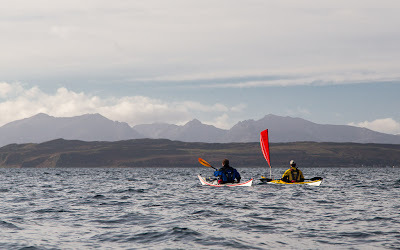 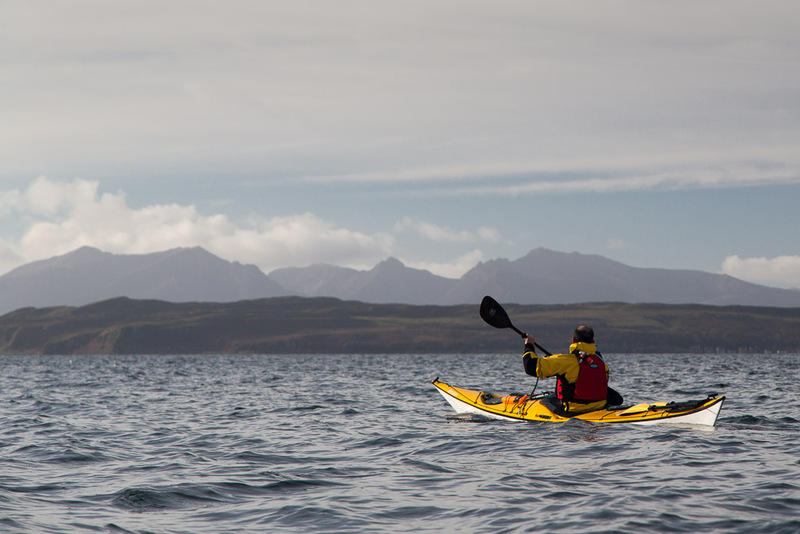 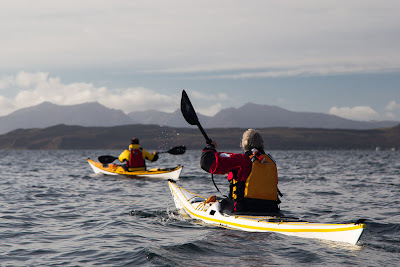 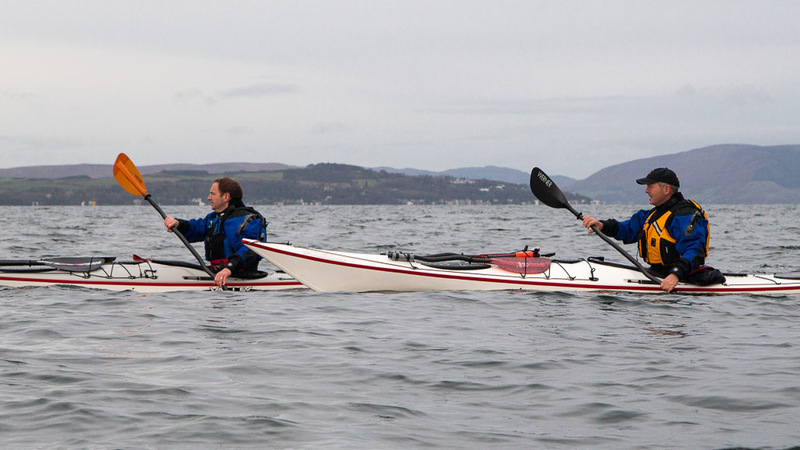 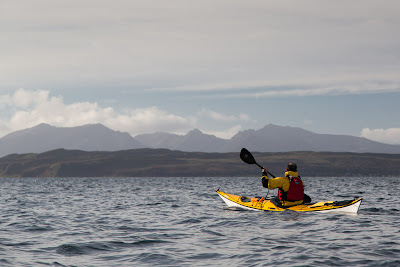 ...Alison have only recently taking up sea kayaking but they were both amazed by the incredible view over the south end of Bute to the distant mountains of Arran beyond. 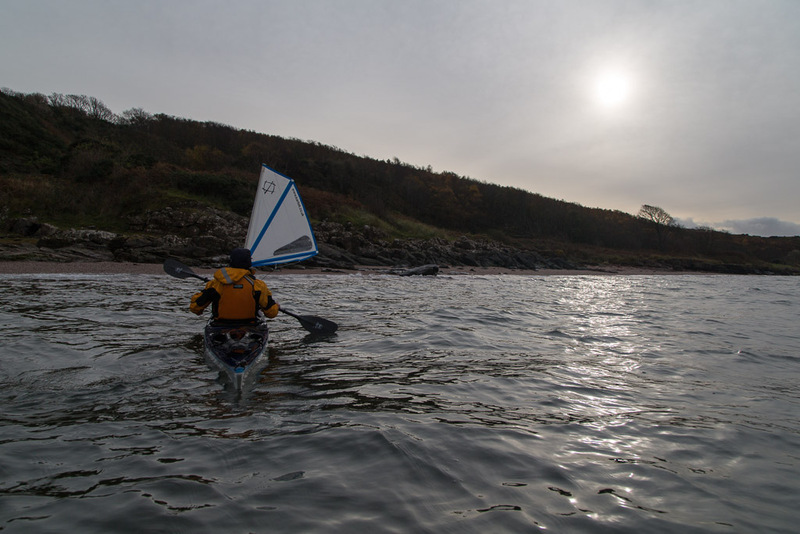 ...along the west coast of the Big Cumbrae. 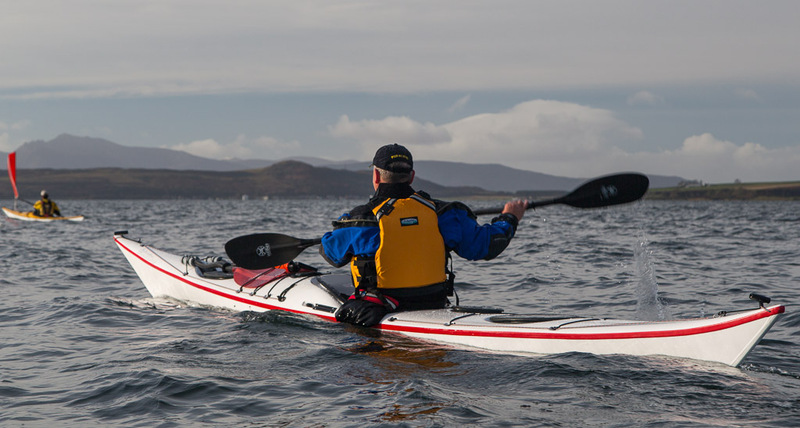 Colin's new Etain looked great with its subtle grey deck. Unfortunately clouds of a less subtle grey gathered and obscured the sunshine just as we landed on a beach of pink sand for first luncheon.